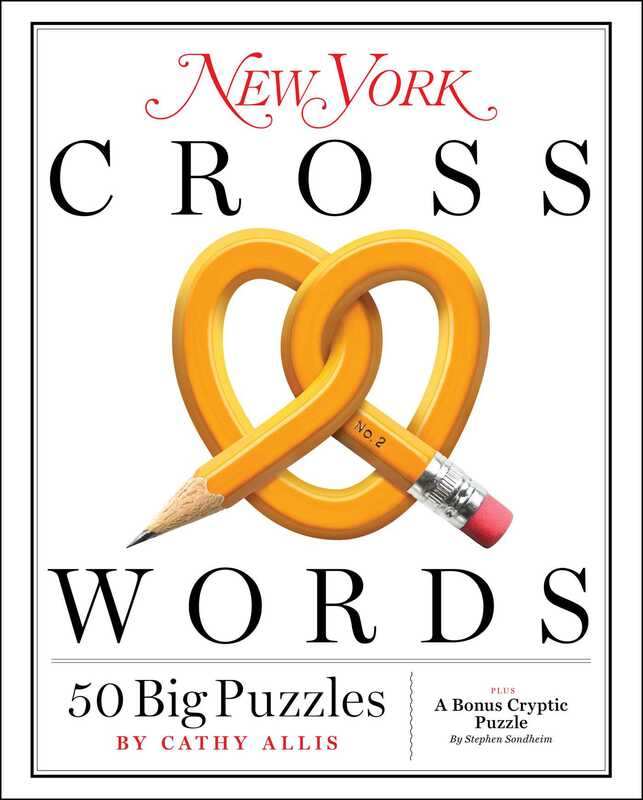 From New York magazine, a spiral-bound collection of fifty recently published crosswords—plus a bonus one created by beloved American composer Stephen Sondheim, the magazine’s original puzzle constructor, for its first issue in 1968. Every year, millions of people attempt to complete a crossword puzzle, whether in print or online. Recent studies have even shown that the actual number is growing, owing to a rising public desire for less screen time and more activities that keep brains active. A number of research trials have found that regular crossword activity is among the most effective ways to preserve memory and cognitive function, and a recent trial from the NIH found that these benefits can last as long as ten years. For fifty years, New York magazine has published some of the most entertaining, addictive crossword puzzles in America. This spiral-bound book collects fifty New York puzzles by master puzzle creator Cathy Allis; adds a classic from the New York archives, created by Stephen Sondheim in 1968; and puts them together with a covered spiral binding for easy, stay-flat solving and portability.